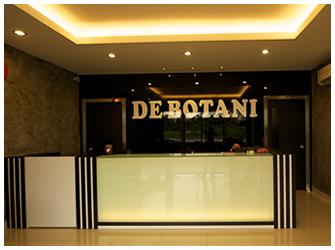 Hotel de Botani, the place to call home when you are in Ipoh. Be it for a short business stay or a leisurely vacation, we offer you the best of Ipoh's warm hospitality. Ideally located within the city, with shopping malls, retail outlets, fabulous food, core business, financial instituitions and corporate office all at its doorstep, Hotel de Botani is one of Ipoh's leading hotels. Nearby hotspots including Gunung Rapat, Sam Poh Tung. Teamed with excellent service and constant betterment, it is the choice for visitors to Ipoh, and the ideal destination for both business and holidays travellers. 2000-2019 © Hotel De Botani | All rights reserved.